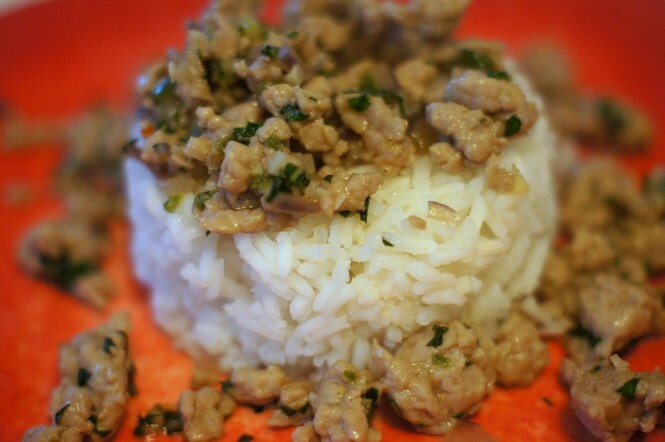 A very popular Thai pork-based dish is a stir-fry using minced pork and basil called pad ga-praw. 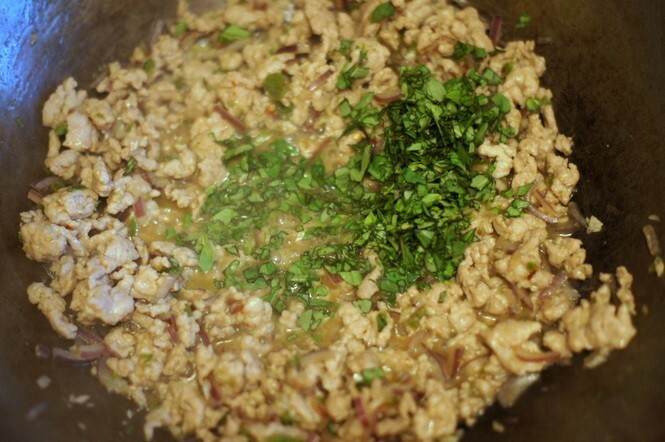 It's really easy to make, and you'll enjoy the bold, complex flavors. 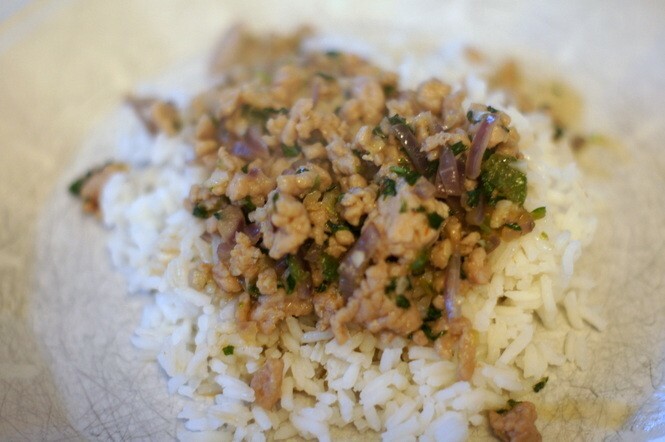 In Thailand this dish is typically made with a type of basil called holy basil. 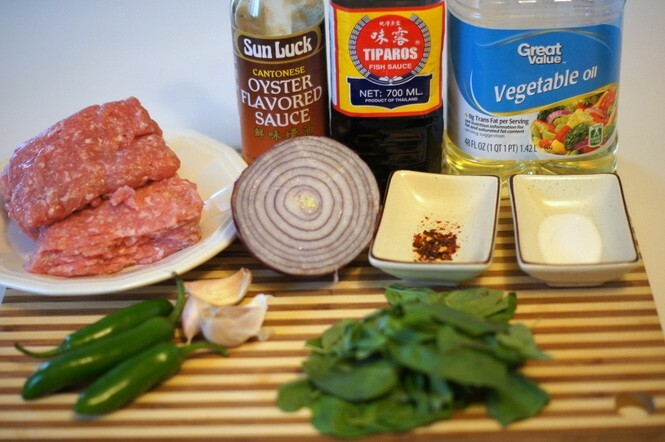 That's hard to find here, but you can use Thai basil or just regular Italian-style basil. Experiment with different types of basil if you can; each has a different flavor but they're all good. 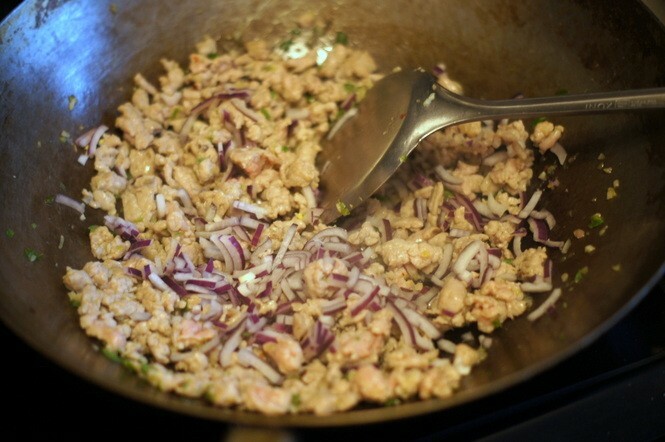 Pad ga-praw is often served with a fried egg on top (optional). 1/2 cup basil, chopped or cut in a chiffonade - use holy basil if you can find it, but feel free to substitute Thai basil, Italian basil or any other type of fresh basil. 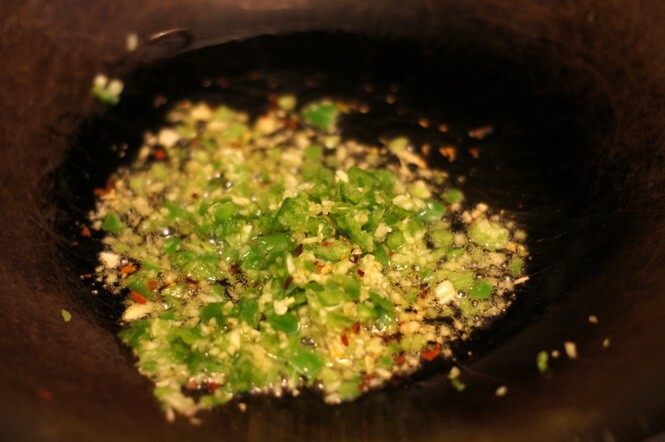 Working quickly, saute the garlic, chili flakes and minced fresh chiles in the oil for just 30 seconds or so. 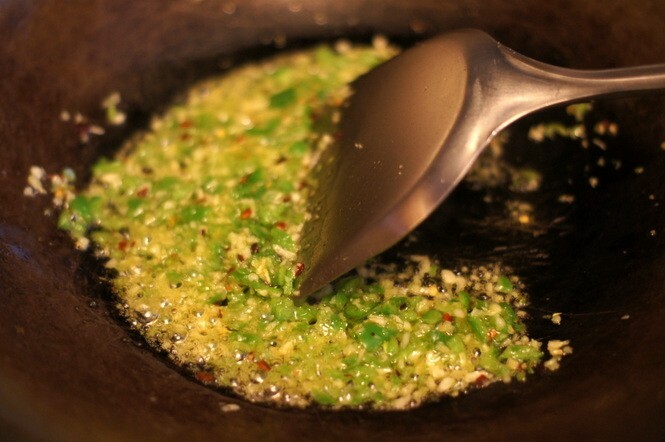 Don't burn the garlic. 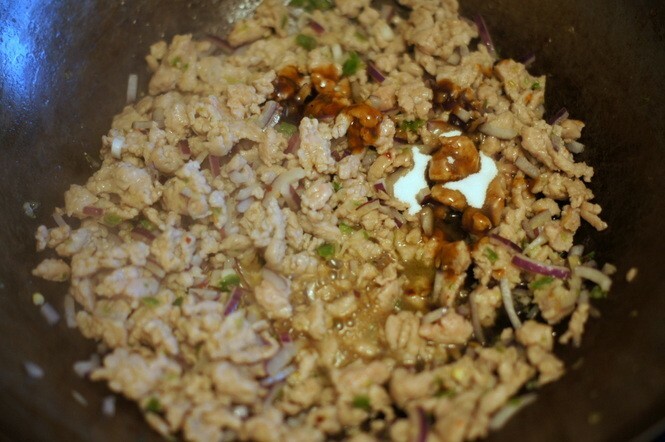 Add the pork to the pan and saute until most of the pinkness is gone. 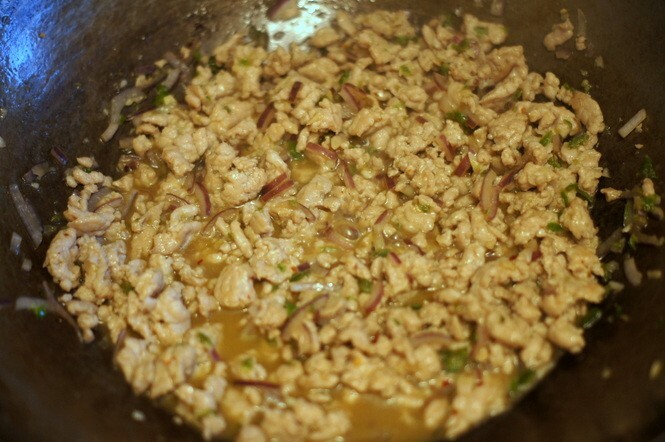 When the pork is mostly cooked through, add the onions and stir-fry for another minute or two, until the onions soften a little. And the fish sauce, sugar, broth or water and oyster sauce to the pan and stir until thoroughly incorporated - a couple of minutes. 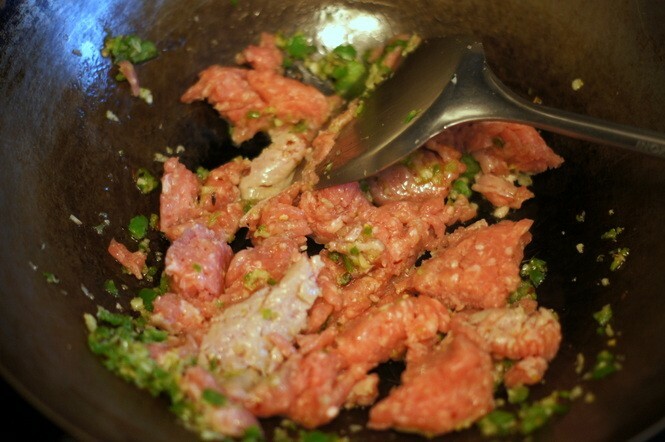 Just before serving, add the basil to the pan and stir. 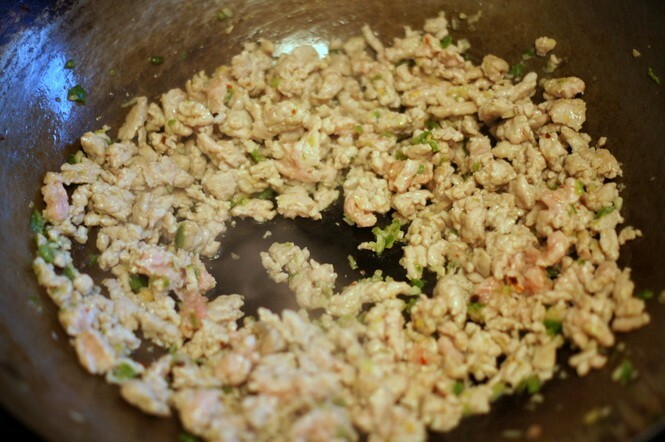 Serve with cooked rice or noodles, if you'd like.